Whilst Naypyidaw (some 320 kilometres to the north) has been the capital for the past eleven years, this vibrant port city with its traffic-clogged streets, fading colonial splendour and the serene beauty of the Shwedagon Pagoda continues to enthral the nation. 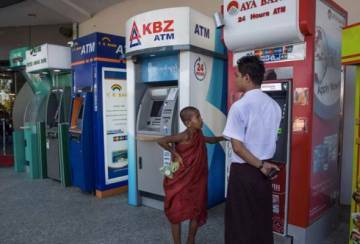 As Daw Aung San Suu Kyi (“ASSK”) and her National League for Democracy (NLD) mark their first year in power, it's becoming clear that the dynamic business hub will hold the key to her future success. 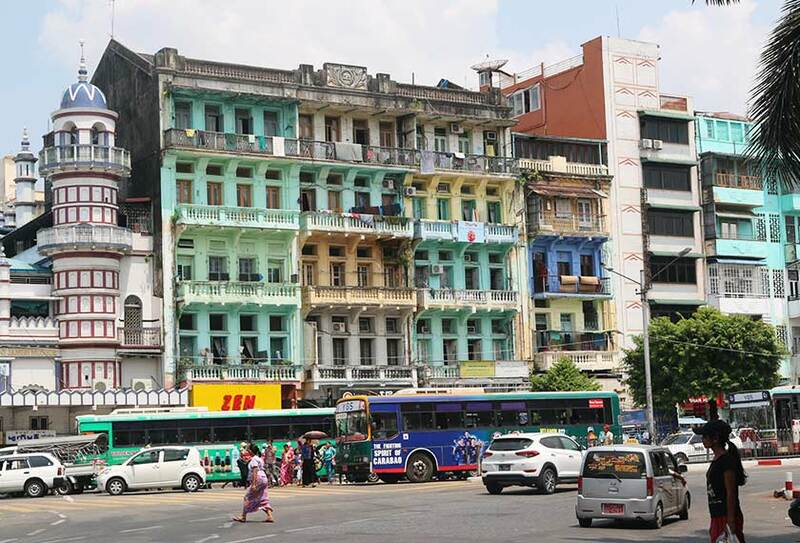 With a combined population of 7.36 million (the Yangon region extends beyond the city proper) and almost a quarter of the nation's GDP, political and economic reforms have to work in the city if they are to take root across this nation of 52 million. 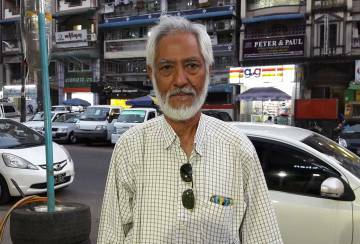 U Phyo Min Thein is the NLD's “man in Yangon”. Swept into power in 2016, he was hand-picked to be the Chief Minister of the Yangon Region. 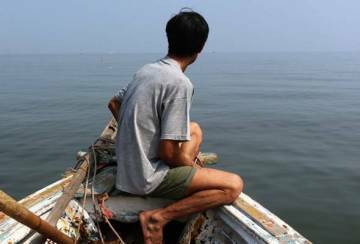 Much like the revered ASSK, "Kwee Phyo" ("Brother Phyo") was also a former political detainee, having served fifteen years behind bars. When I met him late last week in his rather grim Ne Win-era office, the self-effacing U Phyo Min Thein revealed a steely determination as well as a surprising grasp of regional affairs. Despite having recently undergone heart surgery, he showed no signs of tiredness, darting around his office with alacrity. Needless to say, he's fast-acquiring a reputation as an astute political player. A former physics student and activist at the University of Yangon, U Phyo Min Thein was jailed in 1991, after the 1988 uprising against the country’s military junta. U Phyo Min Thein (who married Daw Khin Mi Mi Kywe in 2009) only joined the NLD in 2012. It was shrewd move as he was picked to contest in the dramatic by-election of that year. He ascended rapidly in the NLD, reportedly acting as a key strategist during the crucial 2015 elections that followed. Certainly, patience is what he requires now in Yangon. His first year in office has been tough. 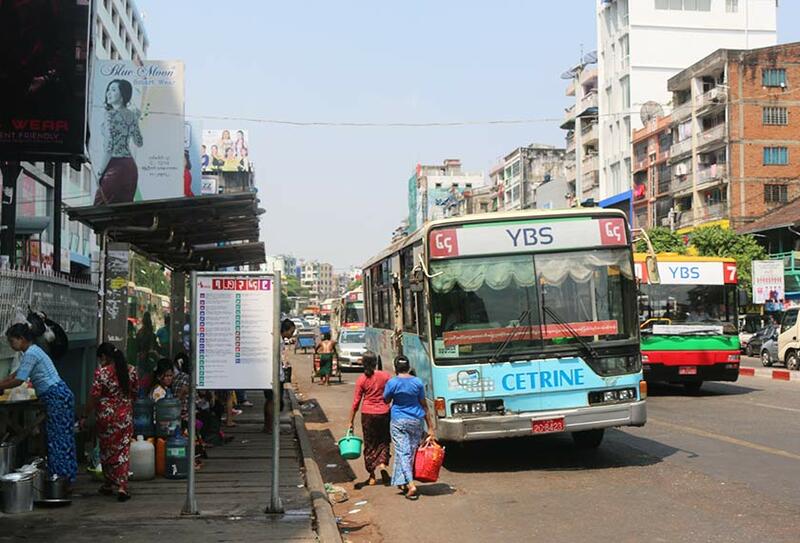 One of his signature initiatives, the Yangon Bus Service (YBS), launched earlier this year, has been broadly criticized. What started as a bold attempt to streamline public transport in the capital has left commuters frustrated by increased fares, long delays and irregular services. A Facebook video commemorating U Phyo Min Thein’s 1-year in office which claimed the YBS as an achievement was removed after being panned by netizens. It's important to remember that the NLD and he are battling against decades of systematic neglect, corruption and abuse of power. Voters understand this and remain supportive. 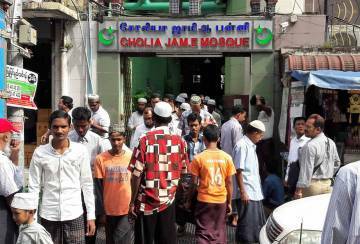 Indeed, the local Muslim community, whilst wary of the extremist rhetoric emanating from Buddhist hardliners and the possible fall-out from violence in the Rakhine province feel that forces in the military are deliberately stirring up resentment. On 9 May – the night before my arrival – nationalist monks led a mob into the predominantly Muslim Mingalar Taung Nyunt Township, seeking "illegal Rohingyas". The situation quickly escalated and the police were forced to fire warning shots. Indeed, on 12 May police issued several arrest warrants over the attacks. Conversely, his explanation of the turmoil in Rakhine is very much in alignment with Daw Aung San Suu Kyi – and disappointingly so. However, U Phyo Min Thein speaks with greater empathy. This stands in marked contrast to Daw Aung San Suu Kyi’s stand-offish demeanour. Understandably, U Phyo Min Thein was much more eager to talk about his ambitions for Yangon, which has an unemployment rate of 4.1% and a poverty rate of 40%. Despite criticisms from business that NLD lacks technocrats and those with practical experience, the Chief Minister has drawn praise for his low-key, problem-solving approach. Still, the gap in their age (the Lady is 71, after all) makes it reasonable to assume that the Chief Minister will feature and prominently in the NLD’s future plans despite the fact that when you meet him in person, he gives you a sense that he would rather disappear into the furniture. He certainly has his work cut out for him. With over half a million homeless, Yangon with its rubbish-strewn streets remains restive and volatile. At the same time, those opposed to ASSK and the NLD are deeply entrenched in the city's fabric, especially amongst the business elite. However, if over the next four years (parliamentary elections have to be held in 2020)U Phyo Min Thein can navigate the vested interests, resolve the city's public transport woes, pull in investors, generate jobs and curb the tendency to lawlessness, both he and the NLD will be big winners. Much of the NLD's future success rests on the slim shoulders of a recovering heart patient in his late forties. U Phyo Min Thein the understated Chief Minister, is now an essential part of Myanmar's political trajectory. 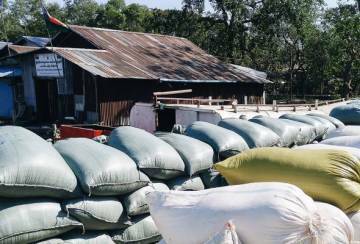 Paw San Rice: Myanmar's ticket back to the international stage? Are the Rohingyas the Palestinians of Southeast Asia?